*Just a few short years ago, Alexander Broadcasting made a good case to its federal lawmakers and, through them, to the FCC: because Rockland County, northwest of New York City, is underserved by local radio, its little WRCR (1300 Spring Valley) should be allowed to go to 1700 on the dial with a fulltime 10 kW/1 kW signal that could provide emergency information in case of an incident at the nuclear plant just across the Hudson River. The FCC duly opened a special auction for the 1700 facility, which Alexander won with a $409,000 bid, and in July 2015 WRCR shut down its old 1300 signal and went on the air at the top-top-top-top-TOP of the dial with a new home for its mix of local talkers, syndicated talk, AC music and Rockland Boulders baseball. That format turned out to have a lifespan of just over a year – last Monday morning, WRCR’s morning show carried an announcement that the station’s AM signal was switching to Radio India programming under a one-year LMA. 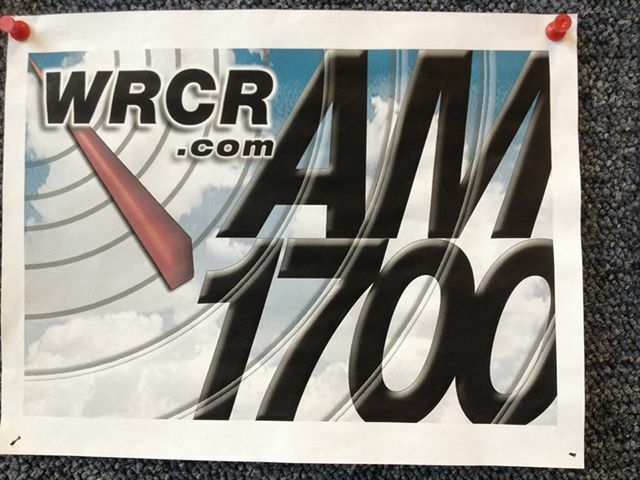 The New Jersey-based Radio India apparently provided some of the funding last year for Alexander to build out the 1700 facility, and that means the local programming from WRCR’s studios at the Boulders’ ballpark has gone online-only. Steve Possell and Jordan Baker are still being heard on the WRCR stream for now with their “Steve and Jordan Morning Show,” along with several other local shows, and station owner Alex Medakovich says he can still put emergency information on the AM signal if needed. But for the people of Rockland County, it’s effectively the disappearance of a local radio voice yet again. Radio India’s programming is directed southward toward the larger Indian-American communities in north Jersey and Queens, to the extent they can even hear the AM 1700 signal. WRCR’s listenership leaned older, so it’s likely many of them will struggle with a streaming-only service for what remains of the local programming. And if there is ever an emergency over at the nuclear plant? It’s hard to imagine Rocklanders rushing to 1700 AM to find information, especially since there was never actually a newsroom at WRCR. Don’t get us wrong – there’s a place for leased-time broadcasting, and a long and very proud tradition of radio providing a valuable service for ethnic communities. It’s just that in this particular case, the FCC’s policy of taking a hands-off approach to licensees’ programming appears to run at direct odds with the unusual way in which Alexander obtained the X-band signal at 1700. One wonders what the lawmakers who fought for that exception to the rules might make of the resulting signal becoming just another leased-time outlet. *There’s no way to sugarcoat this week’s lead story: it was a bad, bad, bad week for broadcasters in CANADA. When a single company controls as much of the communications landscape as Bell Media, its job cuts are inevitably going to be both broad and deep. Even so, and even with the advance warning that came from the notices that Bell had to provide to its unions, the news turned out to be devastating from coast to coast. Steve Faguy, as ever, has a comprehensive list of those losing jobs as they’re becoming known from market to market. Among the markets where the damage is most visible is Ottawa, where CTV’s CJOH (Channel 13) loses late-night anchor Carol Anne Meehan, morning host Lois Lee, and several more. A petition drive is underway to support Meehan, for whatever good that will do. Down the hall at the Bell radio stations, the cuts nailed CFRA (580) hosts Rick Gibbons and Shelly McLean and engineering director Harrie Jones, among others. A few blocks away on Parliament Hill, bureau chief Robert Fife and two other staffers lost their jobs; in all, it appears at least 15 people are out at CFRA alone. But the pain may yet get worse: the Ottawa Sun reports that the current CFRA news team won’t be heard on the air much longer. An internal e-mail obtained by the Sun says that starting today, CJOH anchors will record news bulletins written in advance by the CFRA news staffers who’ll be losing their on-air spots. The latest shift gives Zell Credit Opportunities Fund (ZCOF) 96% of the voting control of Jerry Lee, LLC, buying out Lee’s remaining non-controlling equity interest for an amount that’s not laid out in the FCC filing. A ZCOF subsidiary will assume management duties for WBEB under an LMA – and the going assumption is that there will be a sale of the WBEB license to one of the market’s established broadcasters before long. *There’s an oldies radio shift in CONNECTICUT and western MASSACHUSETTS: Red Wolf’s acquisition of WXCT (990 Southington) and WACM (1490 West Springfield) means the end of the local oldies format those two stations were simulcasting. Instead, 990 and 1490 are now carrying the “KOOL Oldies” that Red Wolf was already programming on WSKP (1180 Hope Valley, RHODE ISLAND) and the HD3 of WBMW (106.5 Pawcatuck). Larry Kratka, who’d been on WXCT/WACM already, stays on board doing mornings; former WXCT/WACM morning host Fred King is apparently out. The CRTC has picked winners in the battle for open AM channels in Montreal, and a big player has lost out. Cogeco, which originally hoped to reactivate the silent 690 and 940 frequencies for French- and English-language traffic channels subsidized by the provincial government, didn’t get either; instead, 690 goes to Bell Media, which will move English-language sports CKGM (“TSN Radio”) there from 990. 940 goes to the Tietolman-Tetrault partnership, which will launch a French-language news-talk station there – and 990 won’t go dark, instead going to Evanov for a French-language station aimed at Montreal’s gay community. *Equinox Broadcasting keeps growing in Binghamton, thanks to some very innovative use of translators and HD Radio subchannels: they’re now running HD2, HD3 and HD4 channels on WRRQ (106.7 Port Dickinson). 106.7-HD2 is a simulcast of Equinox”s oldies station, WCDW (100.5 Susquehanna PA), 106.7-HD3 launched over the summer as soft AC “Sunny 107.1,” simulcasting on analog translator W296BS from Ingraham Hill – and as of last week, there”s now a 106.7-HD4, AAA “The Drive,” with a simulcast on analog translator W283AG (104.5). *Things are getting funny in CANADA: RadioInsight.com reports Astral”s CKSL (1410) in London, Ontario has registered the domains “1410Funny.com” and “Funny1410.ca” for an upcoming format flip to full-time comedy. Astral has been running programming from the 24/7 Comedy network during overnight hours at CFRB (1010 Toronto). First, the bad news about WRKO news: on Thursday afternoon, the seven staffers who made up the Entercom talk station”s newsroom were called into the offices of station management and informed, one by one, that WRKO was moving in a different direction, replacing its local news staff with reports from Metro Networks and increasing the amount of Fox News Radio content being used on the air. The moment must have felt like deja vu for several of the WRKO staffers: back in 1995, previous owner American Radio Systems dismissed most of the entire news staff, including news director Rod Fritz, and contracted with Metro to provide newscasts. At the time, Metro hired some of the WRKO news talent (including Fritz and Pat Carroll, now at WCBS in New York), and WRKO kept a handful of its own newspeople, including veteran anchor Listo Fisher. WAXQ (104.3) cut part-timer Pat St. John and full-time night jock Mark Coppola, moving overnight jock Carol Miller to the 8 PM-1 AM shift. Yes, that means that the overnight shifts on two more stations in market number one are now voicetracked. In Springfield, the cuts all but eviscerated the news department at WHYN (560) last week, sending news director/afternoon anchor Bill Erickson packing after 31 years with the station. Also out is morning news anchor Denise Vozella, who was on her second stint with WHYN. With Erickson and Vozella gone, WHYN is down to a single newsperson, John Baibak – and the people of Springfield and Hampden County are all the poorer for the lack of a full-fledged radio news department in town. There were newsroom cuts in Albany, too, including veteran WGY newsman Jim Gagliardi, who”d been with the station for 12 years and in the market for nearly 40, as well as WGY weekend talk host/public service director Laurie Reilly, and WGY news anchor Dave Lucas. Also out, apparently, is WPYX (106.5) PD Steve Haner – and as we go to press Sunday night, we note that the web page for WPYX”s “Wakin” Up with the Wolf” show has mysteriously gone missing from the station”s site, too. At Clear Channel in Syracuse, the cuts include WYYY (94.5) morning man Rick Gary, WBBS (104.7 Fulton) APD/afternoon jock Skip Clark, WHEN (620) afternoon sportscaster Brent Axe and DJ Maestro, who did nights on WWHT (Hot 107.9). Kathy Rowe is now solo in mornings on Y94, while Rich Lauber is now doing afternoons on B104.7. In MASSACHUSETTS, Charles River Broadcasting officially closed on its sale of WCRB (102.5 Waltham) on Wednesday, handing the keys off to Greater Media, which promptly closed on its deal to swap WCRB”s intellectual property and the signal of WKLB (99.5 Lowell) to Nassau. The move of WCRB”s classical format to 99.5 (and WKLB”s country to 102.5) won”t take place until December 1. Boston Radio Watch reports that four WCRB staffers won”t make the move: mid-day announcer Don Spencer, creative services director/announcer Rob Schuller, continuity manager/announcer Larry King and listener services director Roberta Siegel. And following up on an item in last week”s NERW, just hours after the issue went to press, Clear Channel”s WHAM-TV (Channel 13) announced that it was indeed acquiring Rochester”s cable-only CW affiliate (the former “WRWB”) from Time Warner. By Monday night, the rebranded “CW-WHAM” was on the air as a subchannel of WHAM-DT (Channel 59), though it ended up being blacked out briefly on cable as the master control was transferred to WHAM. The new “CW-WHAM” is carrying the first hour of WHAM-TV”s morning news, from 5-6 AM, before the syndicated “Daily Buzz” morning show; WHAM-TV officials promise more local programming to come. The big news from eastern PENNSYLVANIA was the debut of the reborn WJJZ (97.5 Burlington NJ) Friday evening at 6, following two days during which the former WTHK was simulcasting its new Greater Media sister station, classic rock WMGK (102.9 Philadelphia). The new WJJZ signed on with PD Michael Tozzi playing Grover Washington, Jr.”s “Keep the Dream Alive,” followed by several hours with Tozzi live at the board. He”ll take the 3-7 PM slot beginning this week, followed by Dave Koz”s syndicated show. No morning or evening show has been named yet. Music director Margo Marano will voicetrack overnights. After two years of building an 18-station group in the suburban areas north of New York City, Aurora Communications is cashing out. Cumulus Broadcasting announced today (Nov. 19) that it will pay $230 million in cash, stock and debt assumption to add the Aurora stations to its more than 200 outlets nationwide. If we”ve done our math right, that makes for a tidy $79.5 million profit over two years or so, which is pretty good work for Aurora head Frank Osborn. No word yet, of course, on what changes Cumulus might have in store for these stations; until now, the only holdings Cumulus has had in NERW-land were its stations in Bangor, Maine (and the fringe of its Youngstown, Ohio cluster). The other big news out of NEW YORK this week was the continuing management shakeout at Clear Channel. A reported two dozen staffers in Clear Channel”s New York City cluster lost their jobs this week, including WHTZ (100.3) operations manager Kid Kelly, one of Z100″s most prominent voices. Other shufflings at the cluster include the departures of WTJM (105.1) assistant PD Andy West and sales manager Robin Sloan. Market Manager Andy Rosen adds the GM title at WTJM to his duties, while Scott Elberg shifts to the GM role at WHTZ and WKTU (103.5). Across town, former WOR Radio Network head Rich Wood has found a new position as senior VP at Talk America, which has just been sold to erstwhile long-distance carrier IDT. Wood will work out of Talk America”s new headquarters at IDT”s base in Newark, N.J.
Over in VERMONT, WBTN (1370 Bennington) is about to get its second owner in as many years. Robert Howe, who bought the station from Vermont Public Radio last year, will donate WBTN to Southern Vermont College in Bennington. WBTN has struggled since longtime owner Belva Keyworth sold it and sister WBTN-FM (94.3) to VPR in 1999. The public broadcaster was under political pressure to sell the AM side to maintain local commercial service to Bennington, but Howe was never able to make a success of the little station, which runs 1000 watts by day and just 87 watts at night. The college says WBTN will stay commercial, with students heavily involved in its operation. WBTN”s two remaining employees will stay with the station under college ownership, we hear. More than a year after his “MusicAmerica” show was pulled from the airwaves at Boston”s WGBH (89.7), Ron Della Chiesa is reviving the program, which presented the best of America”s popular standards for nearly two decades. In a cooperative arrangement with Kelley Communications, “Music America” will return to the air in January on smooth jazz outlet WPLM (1390/99.1) in Plymouth, MA. Kelley will lease time on Saturday nights for the broadcast, and WGBH has agreed to allow Della Chiesa to appear on another station (he still does weekday air work on “GBH). The disappearance of “MusicAmerica” prompted a storm of protest against WGBH, with several hundred members asking the station to refund their money, and many of them putting in the money into the “Save MusicAmerica Trust.” Reaction from the MusicAmerica partisans has been mixed thus far; they”re not pleased that the show will be heard only once a week, and there”s concern about WPLM”s weak signal north and west of Boston. Buckley Broadcasting is adding a third Connecticut station to its portfolio, paying $425,000 for WSNG (610) in Torrington. Buckley already owns standards WDRC (1360) and oldies WDRC-FM (102.9) in Hartford, and nobody”s likely to be surprised if the currently dark 610 signal is used to simulcast one of those into northwestern Connecticut. Speaking of WVAY, thanks to NERW southern Vermont correspondent Doug Bassett for passing along a newspaper article discussing a feud between WVAY and Manchester VT rocker WEQX. The article was a bit fuzzy on the details, but it seems WVAY may have had an unlicensed translator at the Mount Equinox transmitter site of WEQX. This may explain the IDs NERW has heard from time to time on WVAY, referring to “100.7 and 100.1 FM,” although there”s never been a licensed WVAY translator on 100.1. What happened to your annual reporting of NERW-land stations going all-Christmas music? Is it just expected by now and therefore not even noteworthy? Yup. RadioInsight.com and I both decided this year that it’s become the same list of the same AC and classic hits stations making the same flips at the same time every year. If there’s a Christmas flip that does turn out to be newsworthy, I’ll certainly report it. The FCC’s negligence regarding foreign broadcasters controlling US stations is nothing new. KVRI (a different “Radio India”) and KRPI in Washington State have been effectively controlled by Canadians for years, the broadcasts 24 hours a day originate out of Surrey BC. FCC was informed of this by the CRTC and chose to do nothing. Furthermore, the move of KRPI 1550’s transmitter site, to a couple of hundred metres from the Canadian border, was opposed by US and Canadian citizens. The individuals funding the move of the site were from Canada. Still no action on the part of the FCC. It took the local municipality Whatcom County, to put an end to the relocation of the site. There are I would assume several foreign governments who now effectively control US radio stations – through “airtime lease” agreements. But the FCC is blindly oblivious to these arrangements. Could WLLH’s 95.1 move to, for example, the 99.5 tower and be within the Lawrence only 1400 contour? From that sure, they’d also cover Lowell, but but be closer to Lawrence than it is now. Good morning! This is Paul Dupuis. In the very near future, some new things will be happening with 93.7 FM. Some of these changes will take place right away. My last day on the Morning Wave was on Friday and I will be moving on to something new. I’ve had an incredible 3 year run with The Wave and I appreciate you tuning in every morning! I’m sure my voice will be popping up on another frequency sooner than later…. Can someone please explain to a non- technical person how the two 1Kw non-directional synchronous transmitters of WLLH in Lowell and Lawrence, MA worked without interfering with each other.